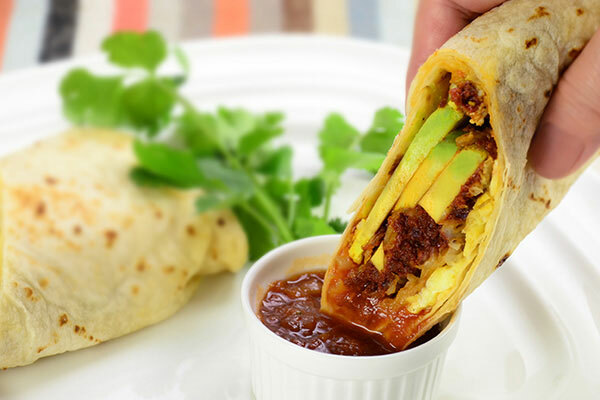 This Zo version of a breakfast burrito uses flour tortilla to wrap your breakfast favorites. 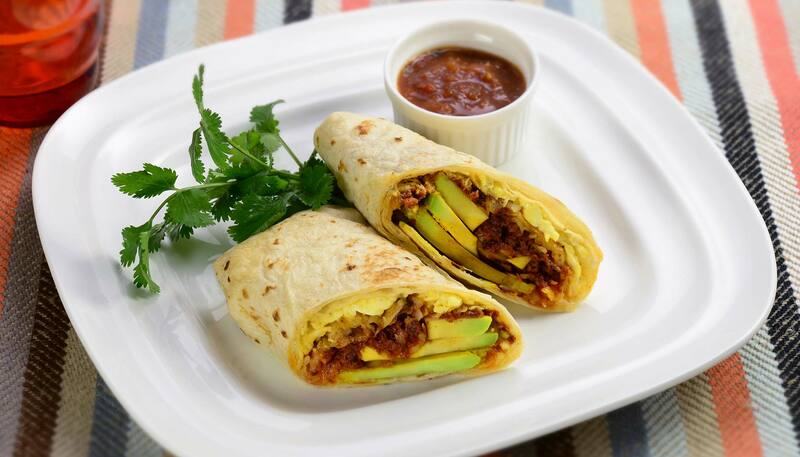 If Mexican chorizo is too spicy for you, substitute a portion of it with eggs! **This recipe was developed for the Gourmet Sizzler® Electric Griddle (EA-DCC10). Adjustments may be necessary when using other models. Peel and shred potatoes into a bowl filled with cold water. 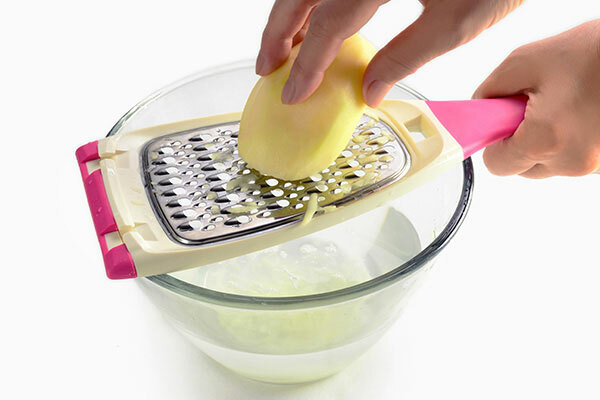 Stir the potatoes gently and drain well. Pat dry with paper towels, and squeeze out any excess moisture. Turn the Gourmet Sizzler® Electric Griddle (EA-DCC10) control knob to 300ºF. 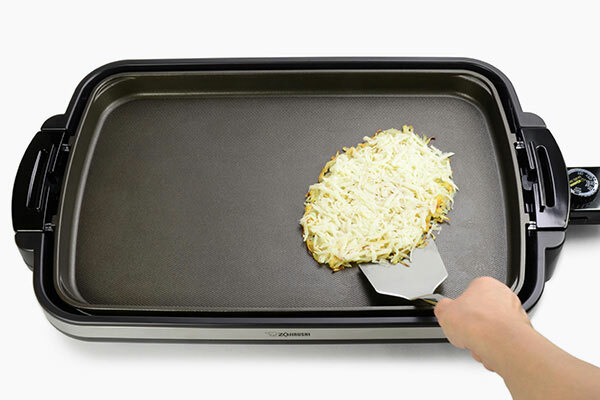 When the pilot lamp turns off, add olive oil and shredded potatoes on one side of the griddle. Flatten with a spatula, sprinkle salt and pepper and cook for 5 minutes or until the edges turn golden brown. Cook chorizo on other side of the griddle. Break chorizo into smaller pieces and cook until just cooked through, 3 to 5 minutes. Transfer chorizo to a plate and set aside. 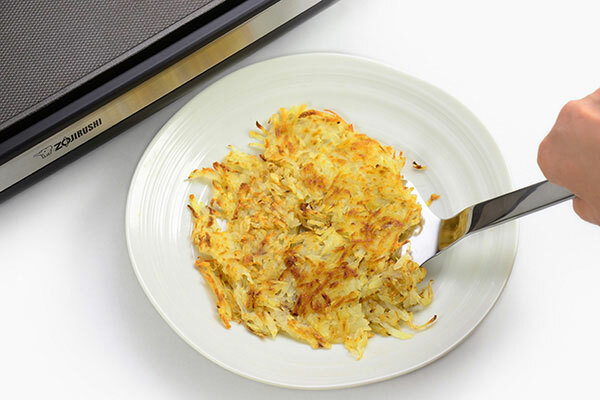 Flip potatoes and cook for another 5 minutes to make crispy hash browns. Transfer to a plate and set aside. In a bowl, add eggs, milk, salt, pepper and beat well. 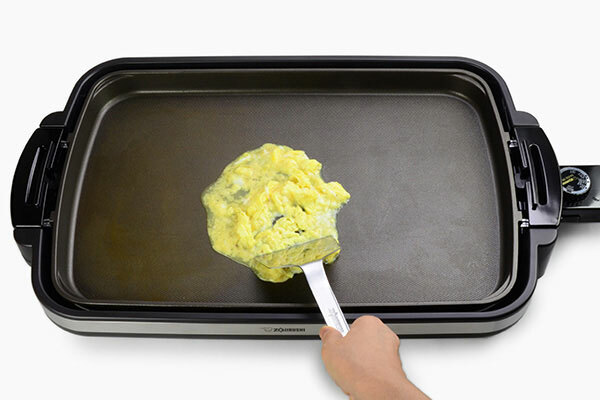 Pour egg mixture to the middle of the griddle, stirring with the spatula* to make scrambled eggs. 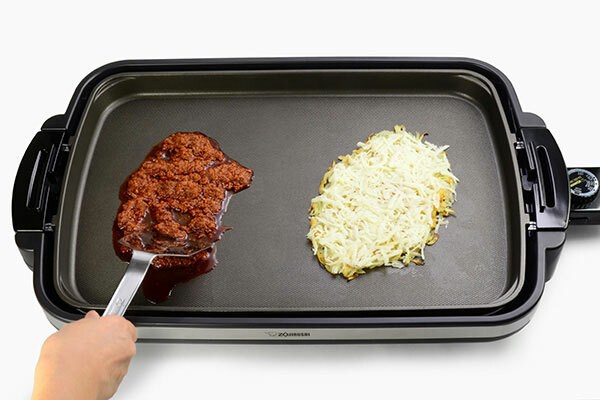 Turn heat off the griddle, transfer them to a plate and set aside. 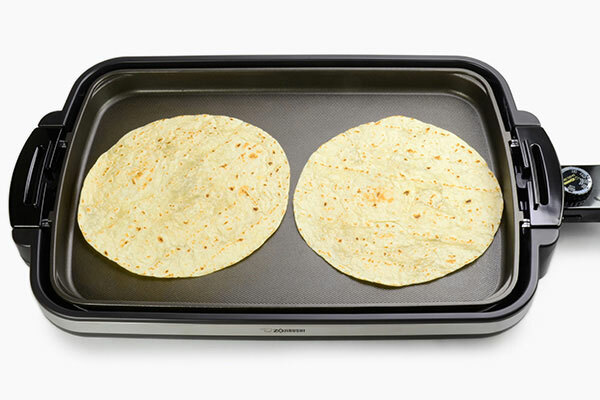 Place tortillas on the still warm griddle, heat 30 seconds each side, transfer to a cutting board. 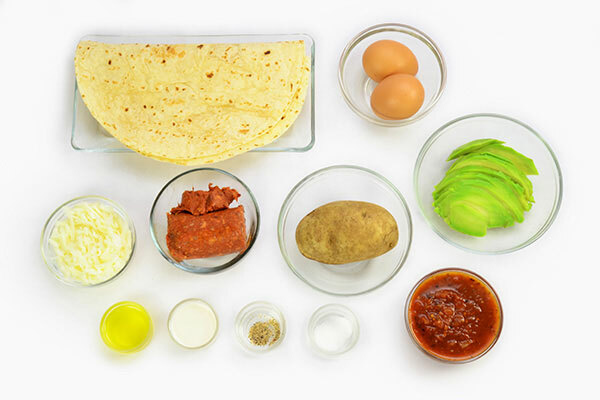 Assemble burritos on the cutting board. 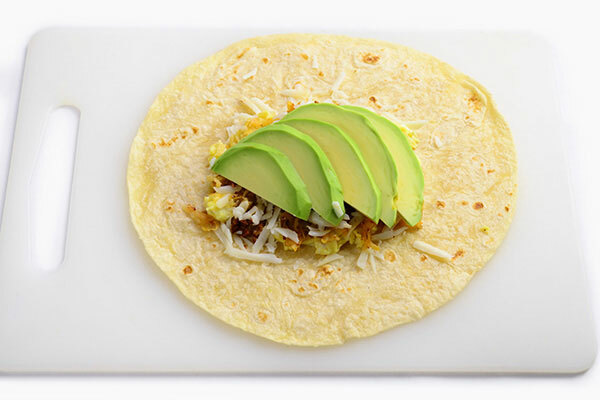 Place scrambled eggs, hash browns, chorizo, shredded cheddar cheese, sliced avocado on each tortilla. Pull the bottom half of the tortilla over to meet the top half. 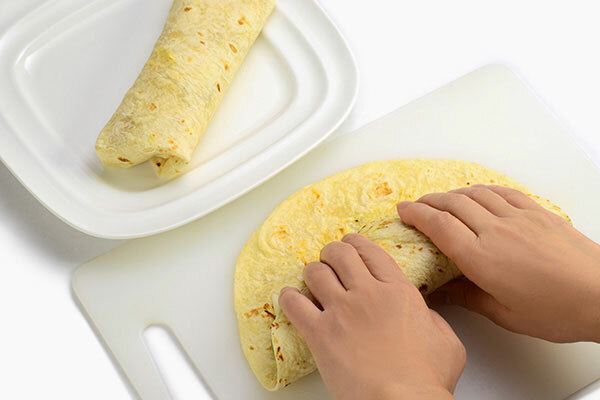 Then, pull the tortilla back. This will form the filling into a roll. Next, fold left, right sides in and tightly roll. 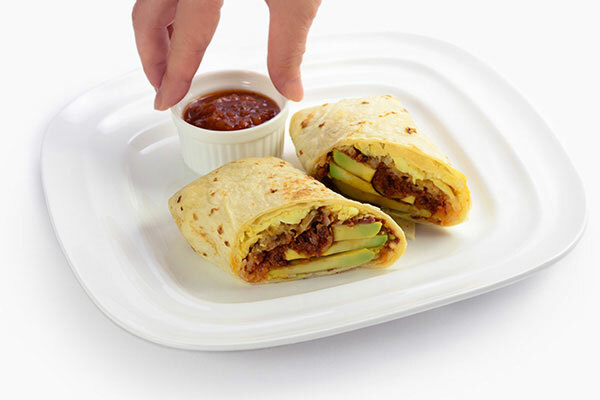 Cut burritos in halves, serve with salsa on side in a small container.